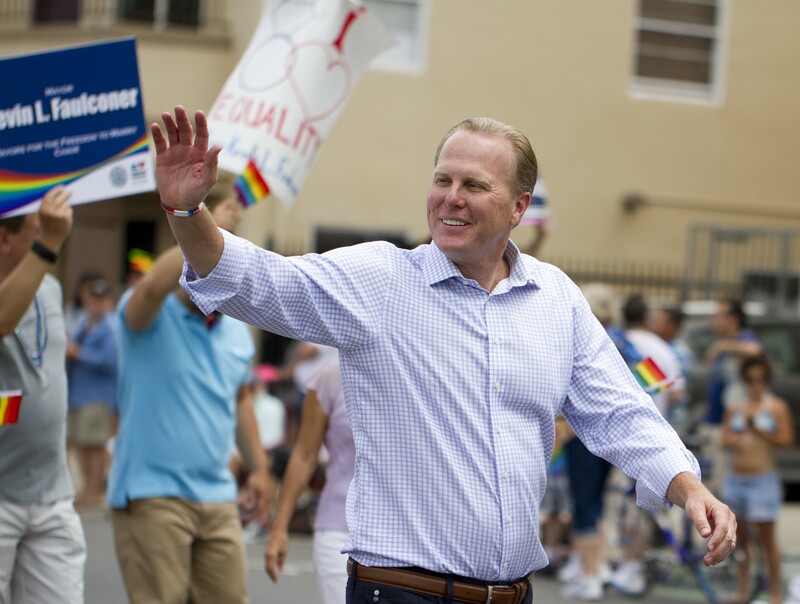 Do People of Color Actually Vote for Kevin Faulconer? My piece in The Atlantic on San Diego Mayor Kevin Faulconer focused on his efforts to engage communities of color and other constituencies that don’t traditionally vote Republican. It’s the main part of his strategy to succeed where other GOPers have failed in developing a path forward for his party in urban areas across the country. This was the big takeaway. Faulconer is talking a great game and many believe his engagement efforts are sincere. But he’s yet to put forward major policy goals targeted toward minority groups or publicly speak out against rhetoric from the national Republican party that’s turning off Latinos, Muslims and others. If he’s going to lead his party out of the wilderness and into the city, he’s going to have to deliver on issues that affect people’s lives. My story was relatively short and I couldn’t explore lots of areas that I had wanted. One question I didn’t address: Are people of color actually voting for Faulconer? Faulconer’s pollster, John Nienstedt, gave me the results of a recent poll that showed Faulconer’s very high approval ratings, including among Latinos. (Update: See details from the poll at the bottom of this post.) His popularity across the board is obviously one of the primary reasons he has no real competition for re-election later this year. But what can we learn from the one time Faulconer’s actually been on a citywide ballot, the 2014 special mayoral election? I asked a couple people who are better at math than me to help answer this question. Before I jump in to what they said, one caveat. While Faulconer’s outreach to communities that don’t usually vote Republican was a big part of his mayoral campaign, these stats wouldn’t include any effects of what he’s done to engage communities of color while in office. Paul Mitchell, the vice president of Los Angeles-area firm Political Data Inc., told me it’s hard to know from the results of just one election how well Faulconer’s strategy is working. You’d need many other similar elections to compare Faulconer’s results against. But for Faulconer’s strategy to be considered a success, he wouldn’t need to win diverse communities outright, just get more votes than a generic Republican. “His engagement with communities of color could mean that he does much better in those areas than other Republicans, and that his ability to get *some* votes from this population, even if not a majority of votes, makes him much more able to cobble together a winning coalition in a state where the Republican registration is waning,” Mitchell said. For a deeper look at the 2014 numbers, I turned to Vince Vasquez, a senior policy analyst at the San Diego-based National University System Institute for Policy Research. He did a regression analysis of the precinct level results from the mayoral runoff, evaluating the percentage of vote Faulconer won against the percentage of ethnic voter groups registered in those precincts. For the ethnic group data, Vasquez used a statewide database that’s considered the gold standard for this kind of analysis, which includes Latinos, Koreans, Japanese, Chinese, Indians (Asian), Vietnamese and Filipino voters. Unfortunately, the database doesn’t have information about black voters. “I would say high propensity Filipino voters tend to be older, male, military veterans, Republicans, and that was likely a factor, especially in a low-turnout election,” Vasquez said. Faulconer’s support among Filipino voters is not a small thing, and presents an area of continued opportunity for him. Faulconer’s the leading Republican contender for governor in 2018 — granted he’s behind five Democrats in the very early polls — and Filipinos are also the largest Asian population in California. For other ethnic groups, Faulconer has room to grow. Khalid Alexander, a leader in southeastern San Diego’s black community, told me he hasn’t seen much out of Faulconer yet. But that doesn’t mean Faulconer’s project is hopeless. “If people saw him as a Republican doing things for southeast San Diego, I don’t think people would have a problem voting for him,” Alexander said. Update: Nienstedt, Faulconer’s pollster, asked that I post some of the results from the poll I referenced above. Some details about the poll. A collection of local business groups comissioned the poll in mid-November. This is a 900 person sample using an 80 percent turnout model. The margin of error is +/- 3.3 percent. Politics, man. Senior reporter and Assistant Editor at Voice of San Diego. Freelancing fun stories, too.